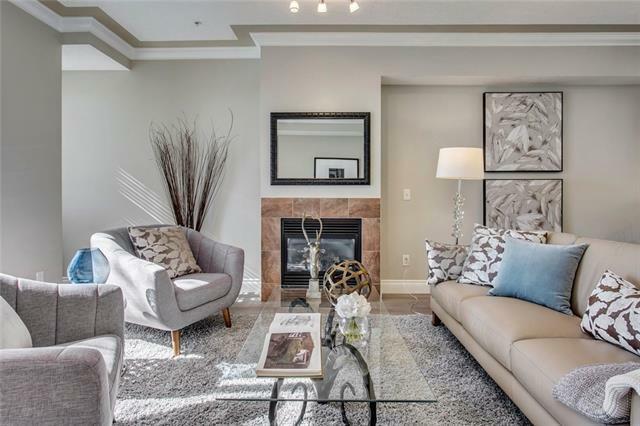 ENJOY THE VERY BEST OF INNER CITY LIVING AT AN EXCEPTIONAL PRICE! 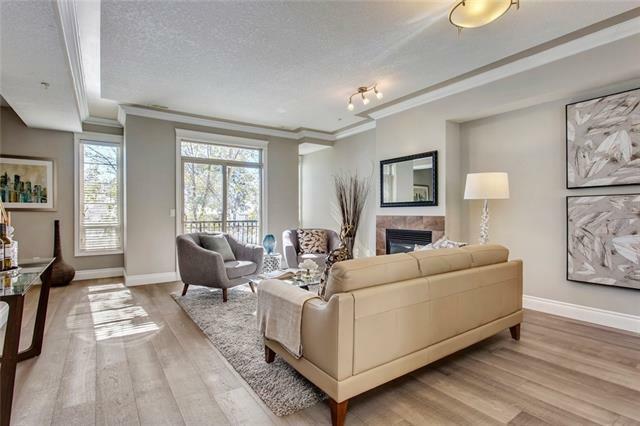 This bright & stylish, 1304 sq ft, 2 bed + 2 bath, 2-storey townhouse is flooded with natural light & beautiful tree views. Boasting brand new hardwood flooring & luxurious berber carpeting to perfectly compliment the existing floor & wall tile, freshly painted walls, baseboards, casings & crown mouldings, large kitchen w/ oversized peninsula island, stained maple cabinetry, granite counters, stainless appliances, gas fireplace with tile surround and fabulous open concept design. Each of the two master bedrooms come complete with their own walk-in closets, ensuite bathrooms and Juliet balconies. 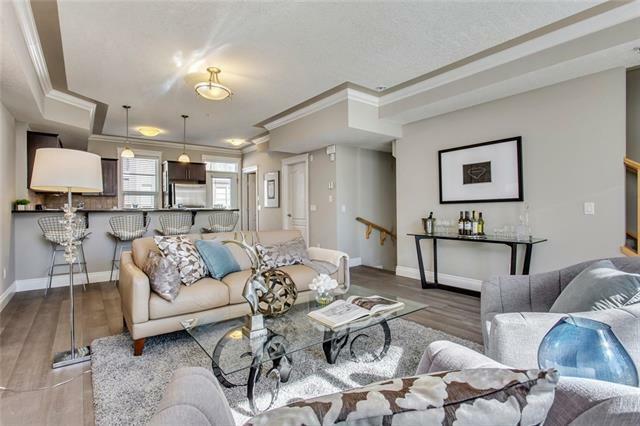 In-suite laundry, tons of storage, BBQ gasline, a private covered entry & secure back door access, plus heated underground parking are all included here. 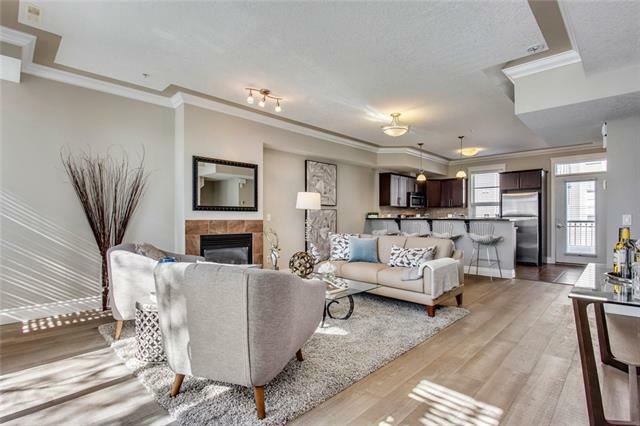 Located on a quiet street, blocks from the shops, restaurants, coffee houses & amenities of Marda Loop. Walking distance to River Park, Sandy Beach, private & public schools & minutes to downtown.